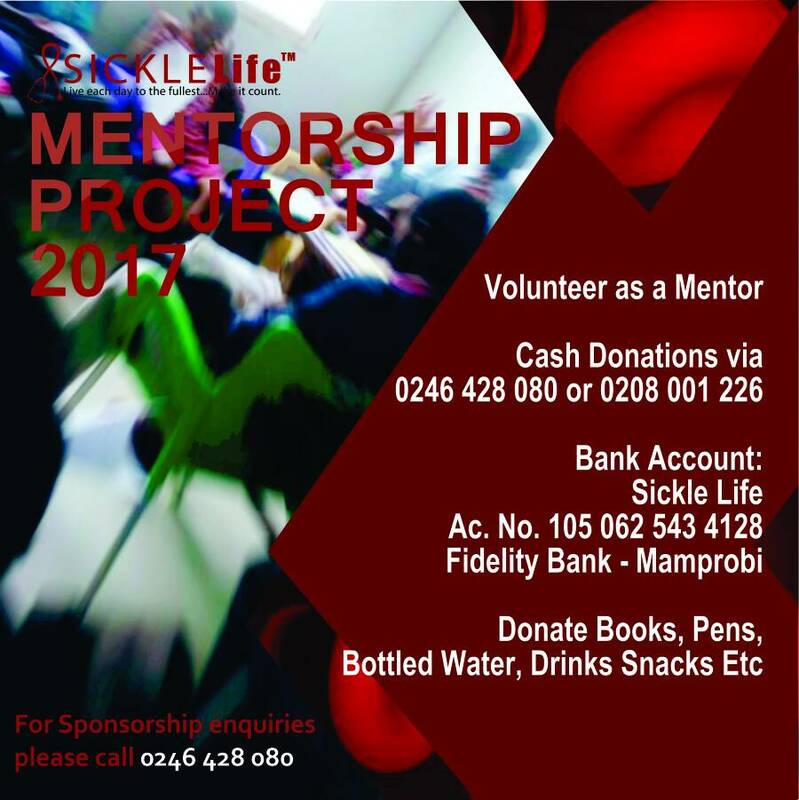 The Sickle Life Mentorship Project comes off on Saturday 26th August 2017. Our aim is to assist in the transition of teenagers living with sickle cell disease from the paediatric to adult Sickle Cell Clinic at Korle-Bu Teaching Hospital. School life and peer pressure. NB. You don’t have to have SCD to mentor. Let’s work together to make lasting impact in the lives of adolescents living with Sickle Cell Disease. This entry was posted in News/media and tagged Adolescent Health, sickle cell disease, Sickle Life, Sickle Life Mentorship Project. Bookmark the permalink. ← ​USA- FDA Approves New Treatment for Sickle Cell Disease.